Briggs Seekins February 15, 2017 Boxing, Headlines No Comments on Kell Brook vs. Errol Spence Jr. It is genuinely starting to look like 2017 will be the year that the welterweight division begins to take shape, post Floyd Mayweather. On March 4, WBC title holder Danny Garcia takes on WBA champ Keith Thurman. 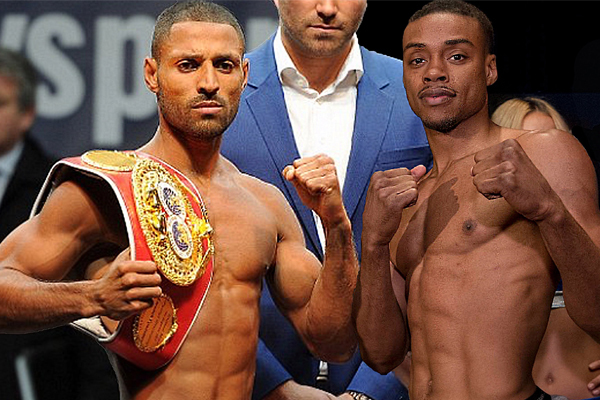 And earlier this week, IBF champion Kell Brook announced that he would defend his belt against undefeated sensation Errol Spence Jr. Neither of these fights will establish a true champion inside the division. But they are both exciting, critical fights that need to happen in order for a champion to emerge. All four men should be lauded for signing on the line. I am honestly a bit surprised that Brook is returning to 147 pounds, after his trip up to middleweight last year to challenge Gennady Golovkin. While he didn’t really have the power to hold off Golovkin, he looked very fit and his speed gave GGG fits. It’s not like he is the first middleweight who could not really bother Golovkin with his punches. I expected him to drop back to 154, where he would be competitive with anybody in the division. Boxing fans should be grateful to him for going back to defend against Spence. If he had vacated that belt, Spence would have likely contested for it against a second-tier contender, as when Danny Garcia picked up his WBC strap by defeating Robert Guerrero. Instead, fans will be treated to one of the sport’s most talented belt holders vs. one of its biggest rising stars. I also like the fact that this bout will play on national rivalries. As a nation, Great Britain has definitely been hitting above its weight class in the past couple of years. Brook has been one of their biggest stars. At the same time, Spence has emerged as a definite favorite among U.S. fans. The former Olympian has turned in brilliant performances to stop contenders such as Chris Algieri and Leonard Bundu, neither of whom had ever been knocked out, prior to facing Spence.